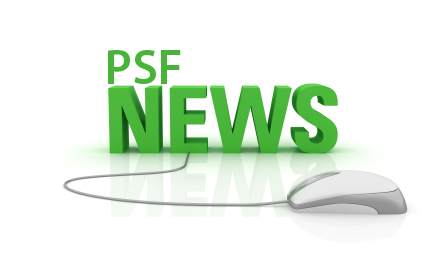 As part of its International Liaison programs for promotion of science in the country, PSF is continuously striving to get support of other countries to wonder for some mutual collaborative activities. In this regard, the Honorary Consul General of Lithuania, H.E. 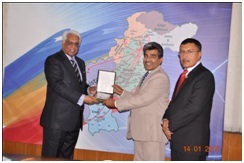 Mr. Mohamed Masud Khan visited PSF on 14th January 2015. A modest meeting was held on this occasion in PSF Committee Room. PSF team headed by the Chairman interacted with the Consul General. 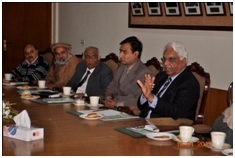 Dr. H. U. Khan, CSO, PSF gave a brief presentation about PSF activities. A number of scientific fields were discussed for joint activities with Lithuania. The Consul General highlighted Lithuania’s expertise in S&T especially in Laser Technology, Biotechnology and ICT Infrastructure. 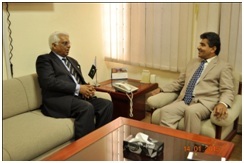 The Consul General highly appreciated the Foundations programs for promotion and popularization of science and research funding in the country. He alongwith Chairman PSF and other officers also visited star lab Planetarium and admired this activity.Dr. Khalil Ahmed Ibupoto presented souvenir to the honorable guest.Afterward, he also visited Pakistan Museum of Natural History, Islamabad.